As a pet owner you know that an emergency can happen at any hour of the day and any day of the year. Emergency visits to the veterinarian can cost thousands of dollars. Most people are not financially prepared for such large, unexpected veterinary bills. Emergency care insurance plans provide a financial safety net for unpredictable situations when your pet needs care the most. This type of plan is perfect for pet owners who want to pay a small monthly fee and the peace of mind that comes with pet insurance. What does an emergency care plan cover? 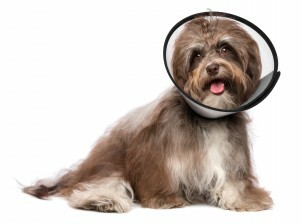 The cost of an emergency care plan will vary by company and will depend on your pet’s age, breed and location. Many insurance companies will offer flexible deductibles, percentage of reimbursement, and maximum coverage amounts so that you can customize your plan to fit your needs. Customizing these features will allow you to tailor your plan to fit your monthly budget and lifestyle. Cats and dogs become more prone to accidents and emergencies as they get older. Start by requesting a quote for your pet today–the sooner you protect them with a pet insurance plan, the better prepared you’ll be to manage veterinary bills in the future.